I made this list of top tunes to have a dram to a long time ago and posted it in the top tens section. I figured that with all the music festival podcasts being put up this summer it was the right time to revisit those choices, by adding which whiskies I think go best with which songs. Here is the Whisky Comedian Top Ten Tunes for a night of dramming. Simples, something that starts with a punchy beat and is full of brass. Once it’s started there is no way you can keep your head from nodding to the beat. Gotta be Benromach 2000 port wood finish. The ultimate Madchester tune needs the ultimate Madchester whisky, it’s infectious, it’s baggy, it drops your head to your chin and makes you bend your elbow, to have your hand at shoulder height, so you can swirl your drink round in a big glass and enjoy it sip at a time. To me that says Dewars 18 year old. Warm, soulful, sunny beaches filled with love and saxophones that you can’t help but sing long to. Glenfarclas 15 year old. Fists clenched with index fingers pointing, hands up in the air, face grimacing, hips jiggling non stop and a massive need to SING… What I want right now is a Lagavulin 18 year old Feis Ile 2013. Look don’t judge me badly… please. To keep up with Chime I need a caffeine hit. Some people will have Irish coffees, but in my raving days the dance floor drink of choice was double whisky and red bull…Chime needs something furnace like, so Double Smokehead & Redbull. It screams partying New York stylee. It’s gotta be a bourbon hasn’t it. Nope, it’s definitely Scotland’s party distillery Bruichladdich and in particular their Bruichladdich Cuvee 407. Most definitely the Glenfiddich 21 year old Havana Reserve. It’s one big party with a funky Latin American / Caribbean vibe and (because it’s got Havana in the name) if you try and sell it in the US the cops will be after you. Steals the best Niles Rodgers riffs and blends it with a cracking back beat, adds some lyrical poetry to it and creates the best dance floor groove ever. Johnnie Walker Blue Label. The ultimate end of the night moment. Slows you down and reminds you the good times might have past but they are not yet finished, there’s work to do in the morning. Its strings sound like never ending waves crashing against the shore. It can only be Ardbeg Corryvrecken. Irn Bru, what a bunch of fantastically funny fannies. 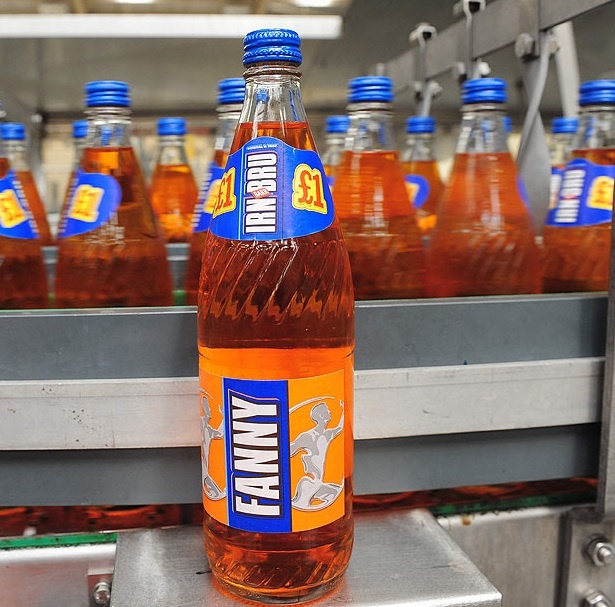 SOFT drink giant AG Barr is to begin selling thousands of bottles of Irn Bru with the name ‘Fanny’ written on them. In a follow-up to a television campaign that sees people drinking Irn Bru in order to cope with embarrassing social situations, Irn Bru have unveiled the risque packaging and announced other Scottish names would be appearing on the bottles, including ‘Senga’, ‘Rab’ and ‘Tam’. A spokesman for the soft drink manufacturer said: “We hope our fans enjoy our limited-edition bottles of Irn-Bru, celebrating well-loved Scottish names which mean a lot to us. The stunt bears hallmarks of a similar campaign by Coca Cola, where common British first names can be found on cans of the soft drink. A televised advert broadcast last year, which drew several complaints, depicts a new father who looks on in horror as his wife announces they are to name their daughter Fanny. 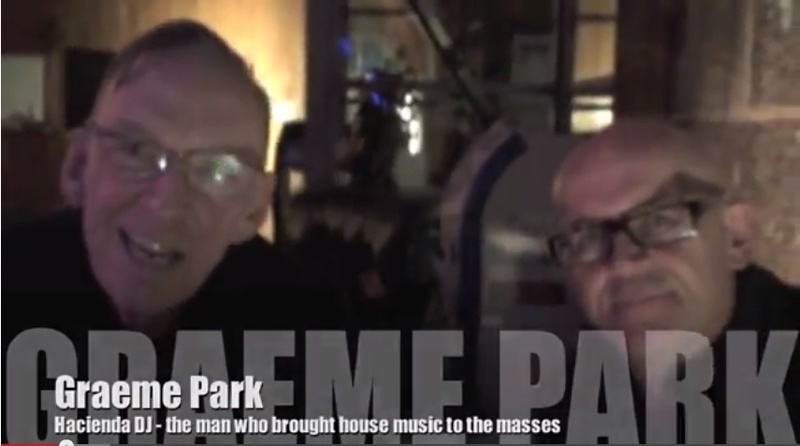 At The Stone Roses after show party in The Arches, Glasgow, Whisky Comedian Alan Anderson has a dram with legendary Hacienda dj duo Graeme Park and Mike Pickering of M-People. In the late 1980s and early 1990s these two men were responsible for bringing house music to the masses at the club owned by New Order. They drink limited editio single malt Scotch whisky Auchentoshan Valinch and Kentucky straight bourbon Knob Creek whilst discussing the similarities between 20 year old clubbers nowadays with those from 25 years ago, seminal tracks such as Bingo Bongo, producers like Derrick May, and club spaces as diverse as Glasgow’s Tramway, Ayr Pavilion and Heaven in London. Of course they talk whisky… and bourbon Woodford reserve, Lagavulin and Balvenie Double Wood. We also learn that Calvin Harris is a big malt maniac. Guess who’s getting tracked down for a podcast? Big thanks to everyone at Colour / StreetRave especially Julie McEwan and Iain “Boney” Clarke. 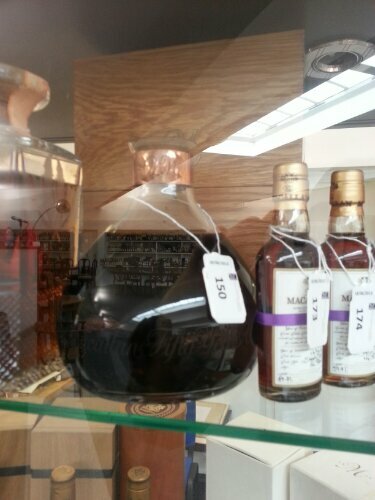 SIX GRAND for a whisky… Eeek. This morning I went to Mulberry Bank Auctioneers in Glasgow. 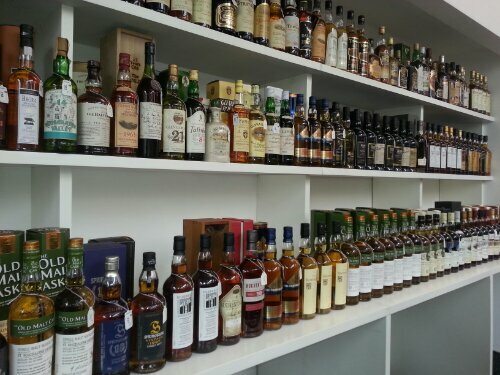 They had 575 lots of rare whisky for sale. One of them went for £6, 000. Granted it is a very rare one. Is any whisky worth the price of mid range car? New Scottish satirical online magazine The Porridge recently published a spoof article parodying Charlie and the Chocolate factory with Johnnie Walker of blended scotch whisky fame. How wrong did they get it? 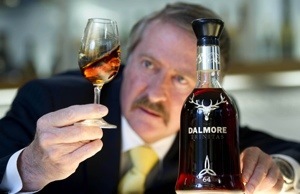 The real Willy Wonka of the whisky world is of course Whyte and Mackay’s wonderfully flamboyant Richard Patterson. The people at The Poke bring us 25 reasons other than Scotch Whisky, to love Scotland and the Scots. 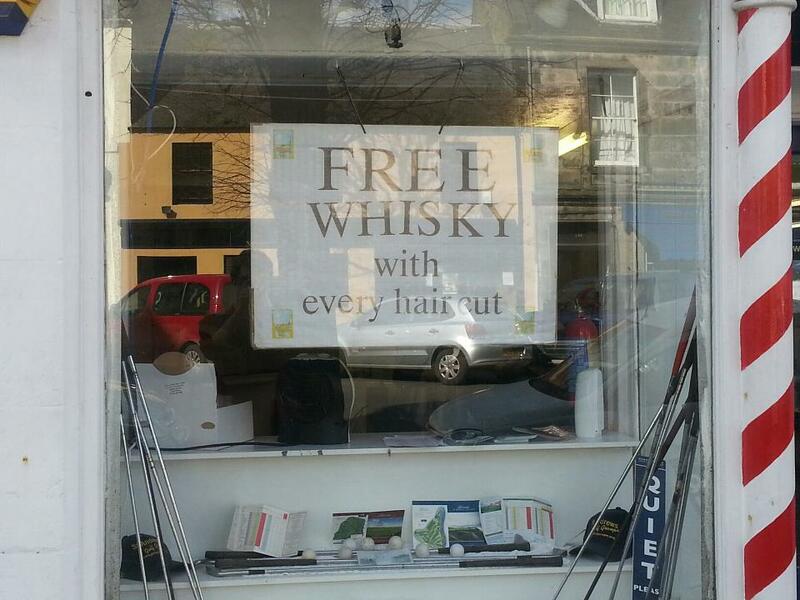 These include free whisky at the barbers, whisky flavoured condoms, two James Bonds and a kilted groom who got skid marks on his new bride’s wedding dress.